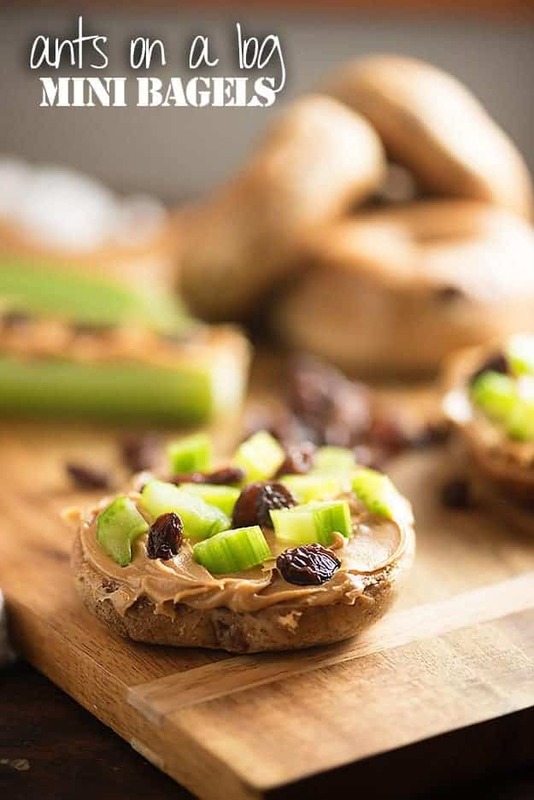 Whether you’re making these mini bagel sandwiches for breakfast, lunch, or dinner, they’re an easy treat that kids will love! A lot of you know that I homeschool my kiddos, right? Things have most definitely settled down, but this back to school thing is not any easier than it was last year. The kids have both decided that they do not like the program we’ve been using for nearly every subject for the past 5 years, so I’ve had to start from scratch. I’ve had to hunt down new curriculum that I think will work with their individual learning styles without a ton of hands on time from me, because mama has to work. I’ve been at it for days. I’m honestly sick of school and we haven’t even started yet. But, I know a lot of you mamas out there are super excited for the end of summer. You’re ready to get back to your routine and have a little bit of alone time. I also know that you’re stressed and overwhelmed, because that routine is a ton of work. I thought I’d help ya out by coming up with a fun little lunch you can pack for your kiddos! 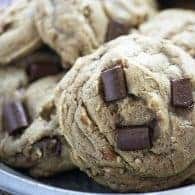 It’s also a pretty great after school snack and would even work as breakfast. I love flexible recipes like this! Ants on a log have been a favorite of mine and my kids forever. 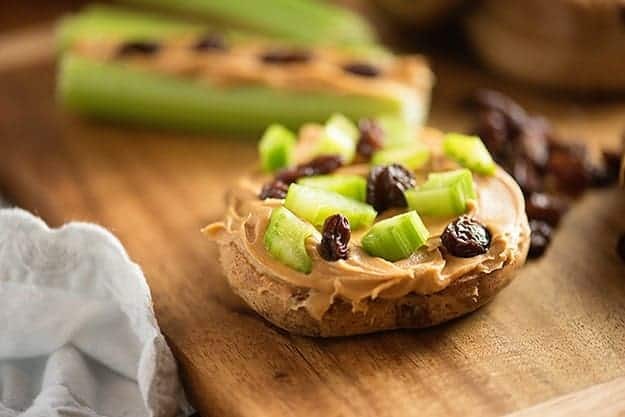 Crunchy celery, creamy peanut butter, and sweet raisins. <— Okay, fine. 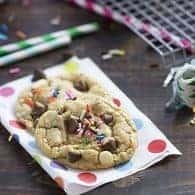 Sometimes we use chocolate chips! Gotta earn my cool mom points somewhere. I added all of that good stuff to a mini bagel. There are plenty of different flavors to choose from, but I went with a cinnamon swirl bagel for this little lunch. The protein in the peanut butter on these little open faced sammies will keep bellies full while they’re away at school. Of course, you can totally sub in sunbutter if you’re in a nut free school! For some more fun bagel ideas, try my Spicy Chicken BLT Bagels for a quick dinner or my horseradish egg salad bagels for a weekend brunch. Turn ’em into snacks by switching out the mini bagel for a TRISCUIT cracker! 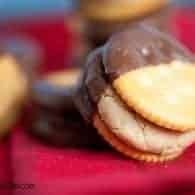 Check out more TRISCUIT recipes on Pinterest! 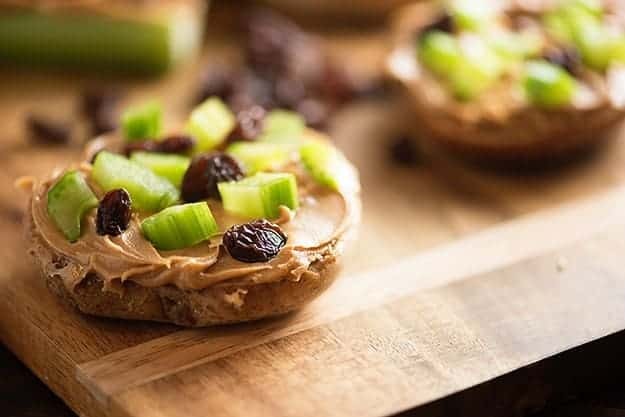 Whether you're making these mini bagel sandwiches for breakfast, lunch, or dinner, they're an easy treat that kids will love! Split each bagel in half. 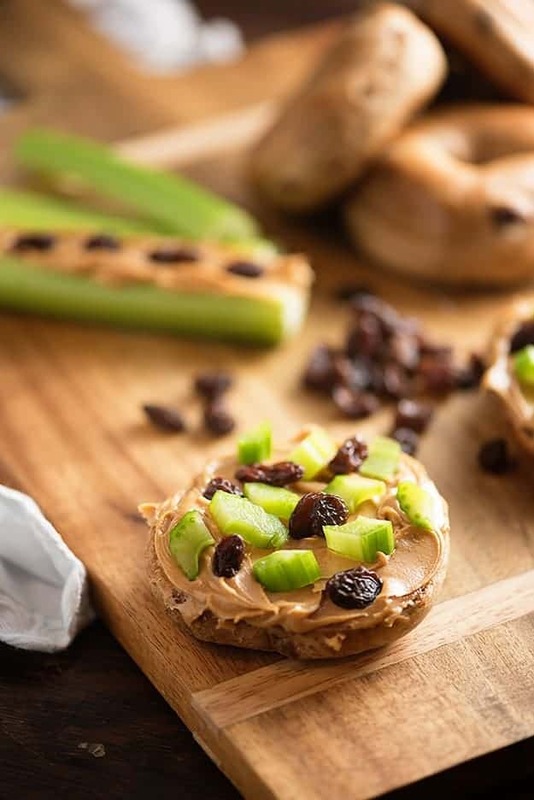 Spread each of the bagel halves with peanut butter. 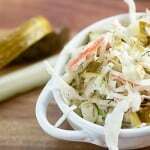 Sprinkle with diced celery and raisins. My little ones love these! It definitely makes being a mom easier. These are so fun! Love them! Also – I have so much respect for you homeschooling…it’s so impressive. You are my hero for homeschooling. It’s something I think about every year and then realize I just don’t have the guts for it! 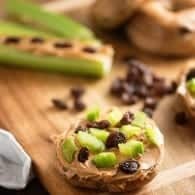 This version of ants on a log is totally something my daughter would eat, love the idea! Excellent choice with the cinnamon raisin swirl bagel for this. What a fun breakfast or snack! 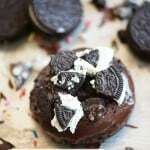 I want this for breakfast! And I’m fairly certain this is a texture lover’s dream come true. So creative, Karly! Just when I thought cream cheese was the ultimate bagel topper. Love these! Their cuteness! Karly I have a confession. I’ve never tried ants on a log! So I tried it yesterday and gave my kids your bagel version! They want more! So creative and delicious. Awesome recipe girl! Aw! Glad they liked them! BRILLIANCE. Ants on an inner tube! Ha! Oh my goodness – my Grandma made us Ants on a Log as kids all the time so I’m feeling so nostalgic after reading this post! Loving these!